Humans are rational individuals. It is a primary human capacity to apply logic and associate a specific reason when subjected to certain situations. The word “reason” means a cause, an explanation or a justification for an action or event. It is a variant of the Latin word, ratio, which means a reckoning. It is, also, from the verb, reri, which means, to think or see reason. In philosophy, reasoning is the ability of human beings to make sense of things. It is used to establish facts, and, to justify or to change current information. On the other hand, reasoning skills are the person’s ability to approach a problem, to understand the nature of the problem and, in the end, to solve the problem. There are four major categories of basic reasoning skills: (1) Storage Skills, (2) Retrieval Skills, (3) Matching and Categorical Skills, and (4) Execution Skills. All four are essential in seeing through activities, problems, projects, and, continuously improve processes and skills. Developing mature and reflective individual thinkers is the aim of acquiring reasoning skills. It seeks to hone the understanding of arguments, its presentation, and its development. Individuals with the capability of defending conclusions have an advantage in the workplace, and, in daily endeavours. They can solve problems, improve processes, and, handle stress objectively. This course seeks to improve reasoning skills on individuals. It is to be done using case studies and group involvements. It, also, explores to assess the individual’s reasoning capabilities to gauge in further improvement. This Reasoning Skills workshop is ideal for anyone who would like to gain a strong grasp and improve their Reasoning Skills. The duration of this Reasoning Skills workshop is 1 full day. Knowles Training Institute will also be able to contextualised this workshop according to different durations; 2 full days, 1 day, half day, 90 minutes and 60 minutes. Develop the thinking process of individuals and employees. Promote balance in solving problems by finding the reason for multiple viewpoints. Enhance communication and socializing abilities. Improve the individual’s abilities in retrieving, organizing, analyzing, executing. Boost the self-confidence of individuals. Define reasoning skills and its relationship with the other thinking skills. Enumerate ways to keep improving reasoning skills. Study techniques to build reasoning skills. Practice reasoning skills with puzzles and online tests. Assess the reasoning skills of individuals using tests. Interact with colleagues to solve the case study. Enhance communication among colleagues through improved reasoning and perception. Organize case study data for faster analysis. Document the flow of reasoning during the case study discussion for the later review. Provide resolution to the case study with colleagues. Defend the results of the case study and group discussions. Plan ways to use reasoning skills in proposing changes and improvements for companies. Why is it important in an individual’s ventures? How can an individual use it for businesses and companies? Critical analysis and reasoning skills practice questions. How to measure an individual’s reasoning skills? Case Study and Group Discussion. Panel presentation of case study results to test understanding and reasoning. 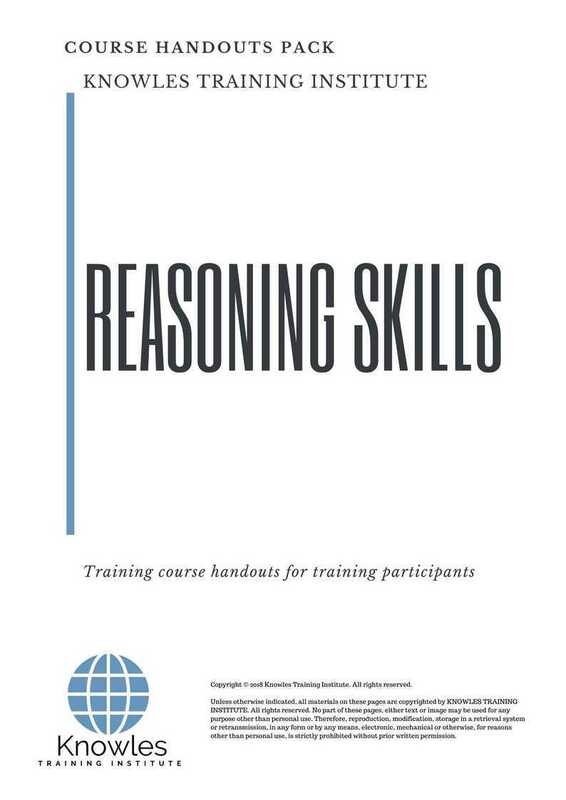 There are 3 pricing options available for this Reasoning Skills training course. 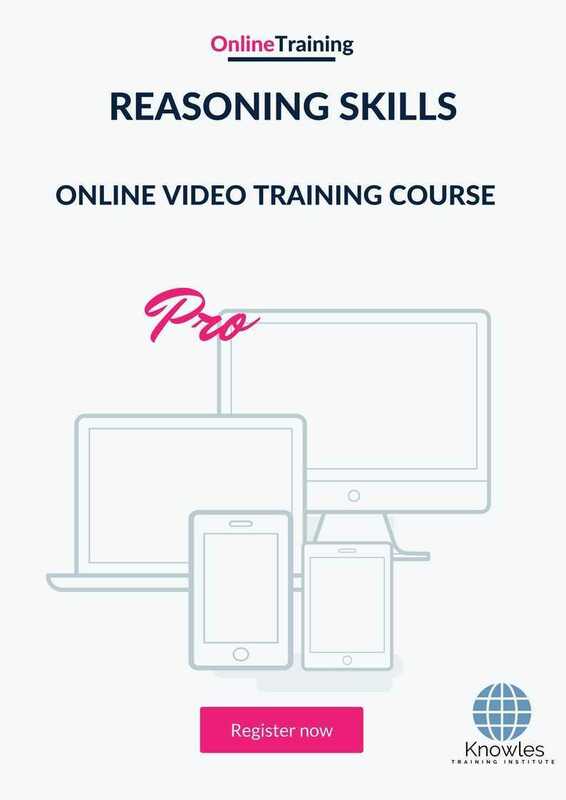 Course participants not in Singapore may choose to sign up for our online Reasoning Skills training course. 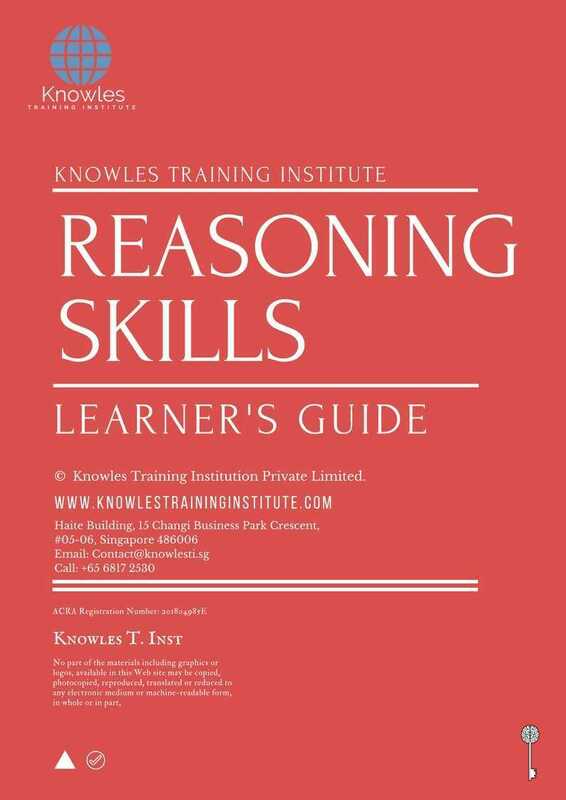 Request for this Reasoning Skills course brochure. Fill up the short information below and we will send it to you right away! Register For This Reasoning Skills Course Now! Share This Reasoning Skills Training Course! Reasoning Skills course, workshop, training, class, seminar, talk, program, programme, activity, lecture. Reasoning Skills courses, workshops, classes, seminars, talks, programs, programmes, activities, lectures in Singapore. Reasoning Skills improvement tips, Reasoning Skills techniques, improve Reasoning Skills, improve Reasoning Skills games, Reasoning Skills improvement exercises, improve Reasoning Skills power, how to have good Reasoning Skills, how to have good Reasoning Skills in studying, how to build up your Reasoning Skills, how to improve Reasoning Skills how to improve Reasoning Skills course in Singapore. Enhance, boost, build up, enlarge, heighten Reasoning Skills course in Singapore. Increase, intensify, raise, reinforce, strengthen Reasoning Skills. Upgrade, amplify, boom, elevate, exaggerate, magnify, grow, gain Reasoning Skills. Develop Reasoning Skills, multiple, power up, beef up, bolster, establish, extend Reasoning Skills. Invigorate, restore, step up, toughen, empower, fortify, regenerate Reasoning Skills. Rejuvenate, renew, escalate, expand, maximize Reasoning Skills. Powerful, mighty, impressive, competent, great, excellent, exceptional Reasoning Skills in Singapore. Superb Reasoning Skills. Super, superior, strong, solid, active Reasoning Skills training courses and workshops in Singapore. Reasoning Skills enhancement, booster, building up, enlargement, heightening, increment, strengthening, amplification. Reasoning Skills magnification, growth, development, power, empowerment, regeneration. Reasoning Skills rejuvenation, development, escalation, expansion. Reasoning Skills maximization, power training courses & workshops in Singapore.